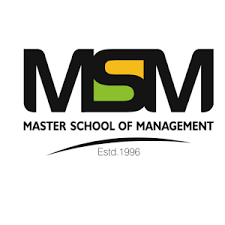 Promoted in 1996, Master School of Management is an institute approved for conducting Two Year Full Time Post-Graduate Diploma in Management and Post Graduate Diploma in Marketing Management by the AICTE, New Delhi. MSM is one such institution which is making sustained efforts since its inception to impart value-based management education to young graduates. The Institute considers CAT scores for admissions to its programme. The career development cell at MSM prepares a placement brochure wherein the resumes of the students are systemized indicating geographical area of interest, language, skills, professional acumen and other categories and then it is circulated to a vast pool of employers enabling them to contact students directly as well as through the career development cell to facilitate interviews. Highest package offered is 10.5 LPA. Are you Interested in Master School of Management.